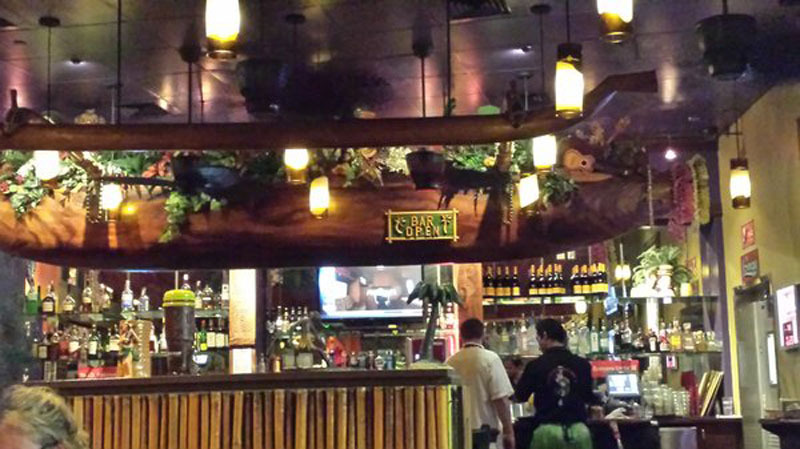 At all of our Cheeseburger Restaurants, every meal comes with a slice of paradise. Maybe that’s why our Cheeseburger Restaurants are some of the most wildly popular and solidly successful in the world. 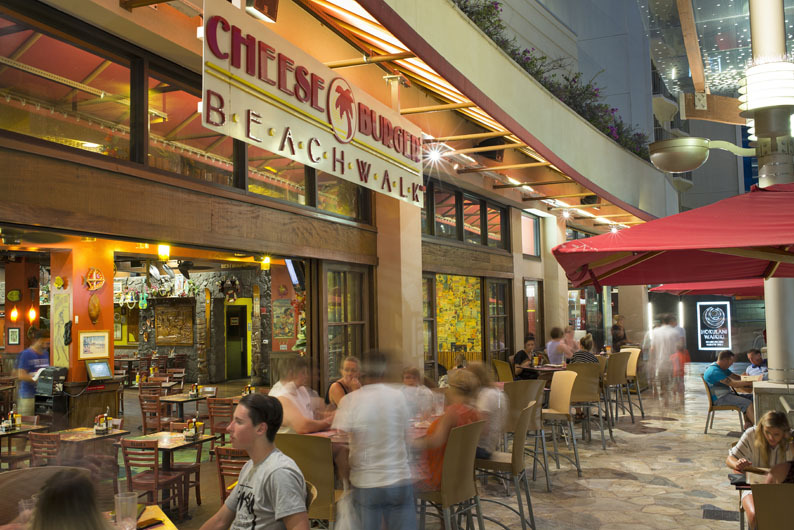 Cheeseburger Beachwalk takes that popularity one step further making it a pop culture phenomenon. This restaurant is a melting pot for guests from all around the globe. 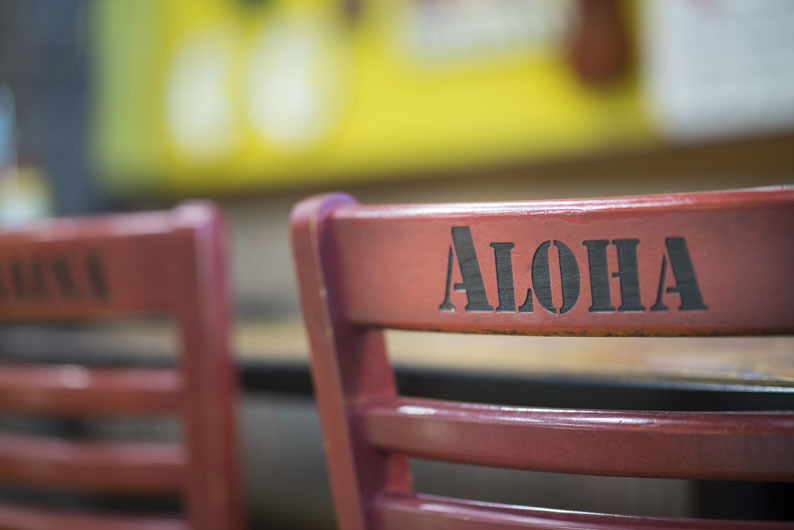 Come on over for a great meal, ice cold beer and some of the best people-watching in Waikiki. 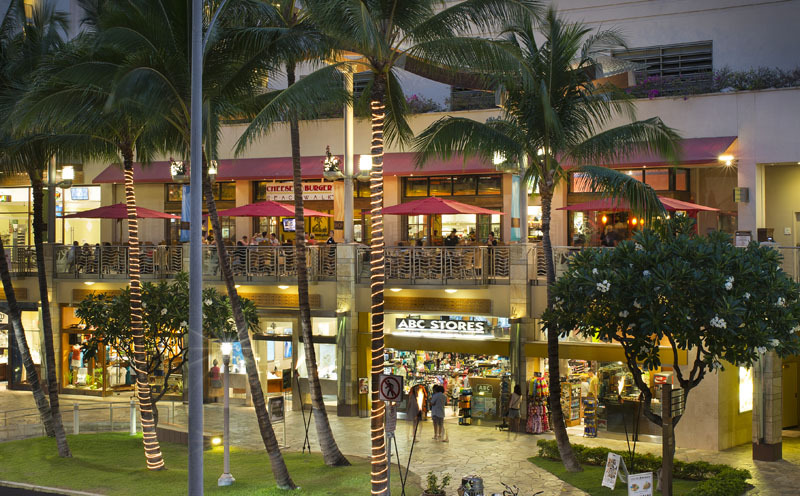 We are located on the second floor of the Beachwalk shops on Lewers Street near Kalakaua. Hop on the escalator and you will be delivered to the entrance of the magical Cheeseburger Beachwalk. Breakfast specials are $5.99 and Bloody Marys and Mimosas are $6.00. We offer a $6 validation sticker for valet parking at the Embassy Suites Hotel. 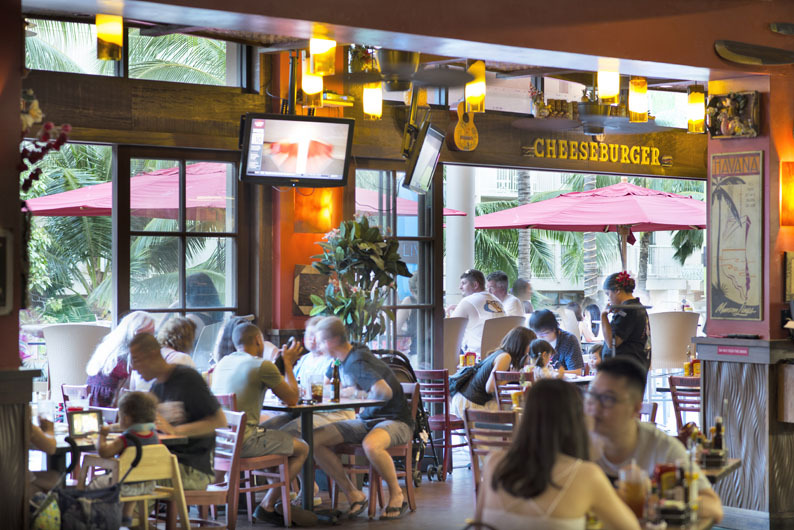 Cheeseburger Beachwalk is the perfect spot for a party big or small. We host wonderful breakfast banquets and buffets for various groups such as high school marching bands, choirs and travel groups. We also offer dinner buffets for larger groups and will create custom and set menu options for groups. We can create a memorable event for groups from 20 up to 300 people. Complete facility buyouts for a private experience are also available. We can work with your team to create the perfect setting with decorations and other amenities needed for successful business events. Please contact General Manager directly at beachwalkgm@cheeseburgerland.com or fill out the form below with your specific needs and information. Thank you all for sharing your Cheeseburger Beachwalk experience and see you again soon. Aloha! The wait staff was very friendly. We were there for a late lunch, no wait & it is up on the 2nd Floor, so we had a nice view of the plaza. Our food was awesome! 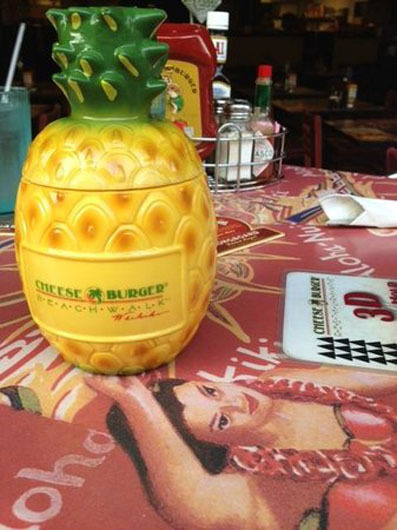 We always stop at one of the Cheeseburger Restaurants while in Hawaii. Fantastic! We went here based on a friends advice. I was a little leery after seeing the reviews. However, my husband and I decided to go here for a late lunch. Our server was great! She was on top of everything. I had the Hawaiian chicken sandwich and my husband had the blue banana burger. Both were amazing! I didn’t try the blue banana burger as I do not like spicy food but my husband loved it. The fries are delicious, as well. Great service and lunch! The restaurant was nicely located on the second floor of the shopping area in Lewers Street. Service was good. We had an early dinner around 6:00pm. It wasn’t busy. We were seated right away and our orders were taken. 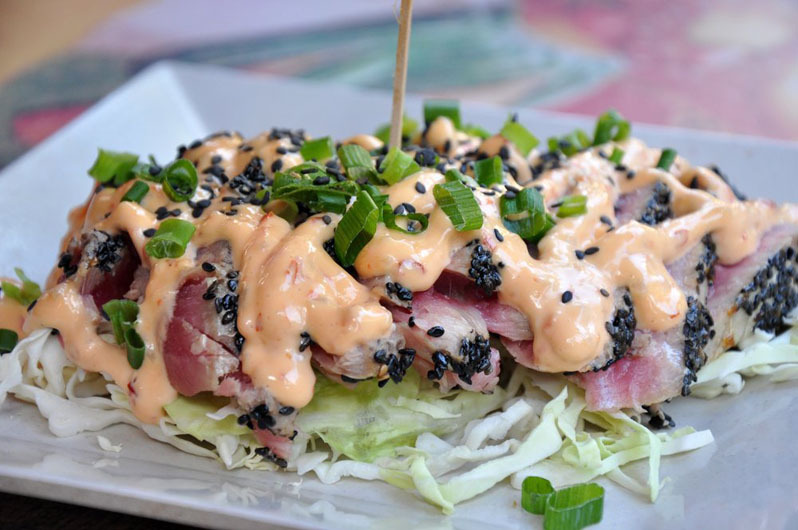 The Sesame Seared Ahi and BBQ Bacon Cheeseburgers are very good. We’ve walked by this restaurant later in the evening and they do get busy. 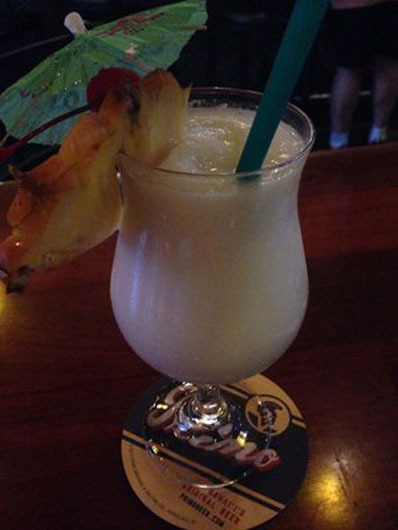 I go to this place all the time, they have a lengthy happy hour and the mai tais are great. I also like the burgers, and they are willing to work with you as far as adding extra stuff like a fried egg on your burger (basically, if you see one burger has something you like, you can ask for it on another burger). Our hotel had a very sparse breakfast so we decided to drop in here for breakfast. Great service and incredibly satisfying pancakes. The wife had the Pineapple Cakes (3) of them very large and flavorful. I had the regular cakes (3) I love pancakes and these did not disappoint, I ate mine and helped the Mrs. out with hers but it was too much. The staff kept the coffee cups and water glasses filled and gave excellent service. This restaurant is upstairs on Lewers Street and not easy to spot readily. We only discovered it just before we left Waikiki, so never got to try it for dinner. Great place for breakfast. Will definitely go back there if we return to Waikiki. We have recently returned from Hawaii. Our first three nights were spent in Waikiki. On our first night, we went out walking and taking in the sights and came across this restaurant. It appealed to us right away, outside eating! A great place to people watch, great cocktails, and a great meal. 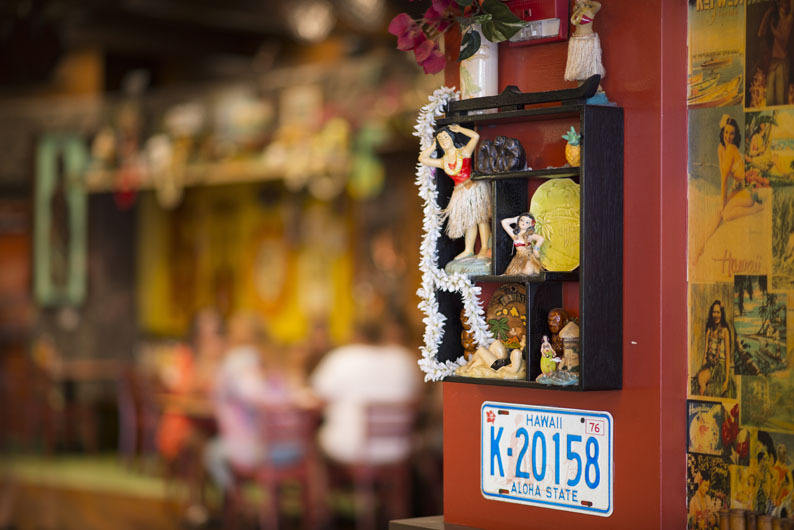 We ate at the Cheeseburger in Paradise in downtown Waikiki, which was nice, but we really liked the aspect of eating outdoors at this place, just really added to the vacation feel of things. 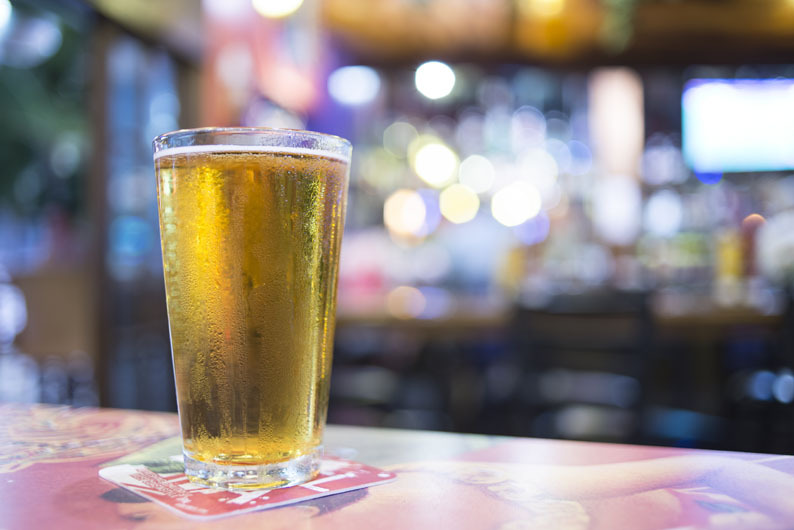 They offer Happy Hour Drink Specials, as well as food specials, 5 dollar Quesadillas, or fish tacos and a few other items. 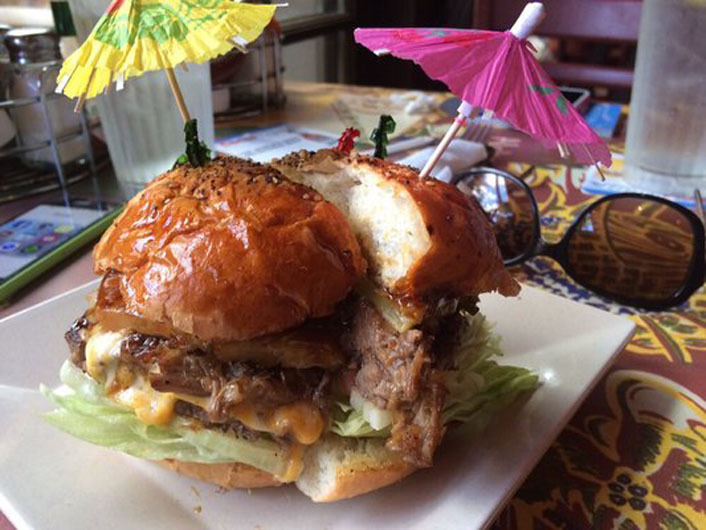 Honestly, maybe we are just easy to please, but if we ever make it back to Hawaii, I’d definitely want to revisit Cheeseburger Beachwalk! Our burgers could not be faulted. The guacamole was so delicious! The service was great. Happy hour rocks. We have nothing to complain about!